Moz recently released its annual report, Local Search Ranking Factors, to give us an idea of the ranking factors that Google considers for your local business. I recommend you read the report, whether you’re new to local SEO or highly experienced in the field. It contains tons of detailed information, including comments from top experts. Your Location in the Landing Page Title. Out of all the ranking factors listed, stating your city and state in the title tag of your landing page is the most important. To give you an example, if you ran a roofing company in Miami, you want to make sure you add “Miami Roofing” in your homepage, or landing page, title tag. Domain Authority of Your Website. The domain authority of a website is based on several metrics, such as linking root domains and link counts. You can get an idea of your local competitors’ domain authority by going to http://moz.com/learn/seo/mozrank. Quality and Authority of Links to Domain. Local ranking factors take into account the quality and authority of the inbound links to your domain. These are the links that point toward your domain name (i.e. MiamiRoofing.com). Quality links include websites that have high domain and page authority. They also include websites that are relevant to your industry or location. It’s important to get plenty of these high quality websites to link to your domain. Quality and Authority Links to Landing Page. 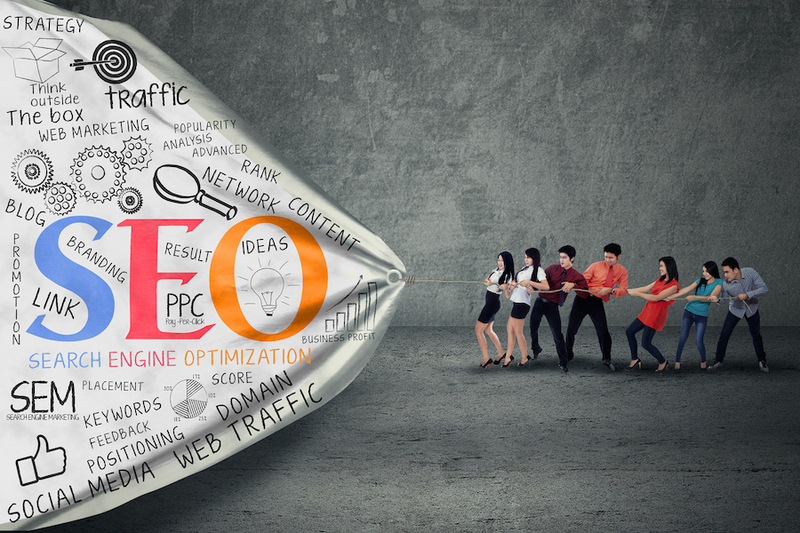 Ranking factors also include quality links with high authority that point to individual webpages on your site. Physical Location. Google wants to rank local businesses that have a physical location. Your physical location is a strong determination of how high you will rank. That way, customers who look for a Miami roofer, will find a roofer in Miami versus another city nearby. Quality and Authority of Citations. Citations are one of the best ways to get ahead of your local competition. The mention of your NAP (name, address and phone number) on a web directory is an easy way for search engines to establish trust in your business. A business with several, high quality citations will outrank a business with none. Product or Service in URL. Don’t worry about changing your business’ name if you don’t have keywords in your domain name. Instead, create a page for your specific product or service. So if Miami Roofer wanted to target people who searched for “roof repairs,” they could create a page for it (i.e. miamiroofers.com/roof-repairs). CTR from Searches. Click-through rates might not always be the highest for the top ranking competitors in your local area. In fact, lower ranking companies might have a higher click-through rate if they have a more enticing title tag and meta descriptions. Title tags and meta descriptions are the results shown on the SERP (search engines results page). Let’s wrap up the main takeaways: start with solid on-page SEO, build citations, and build high quality links to your website. What important factors do you consider for local search?